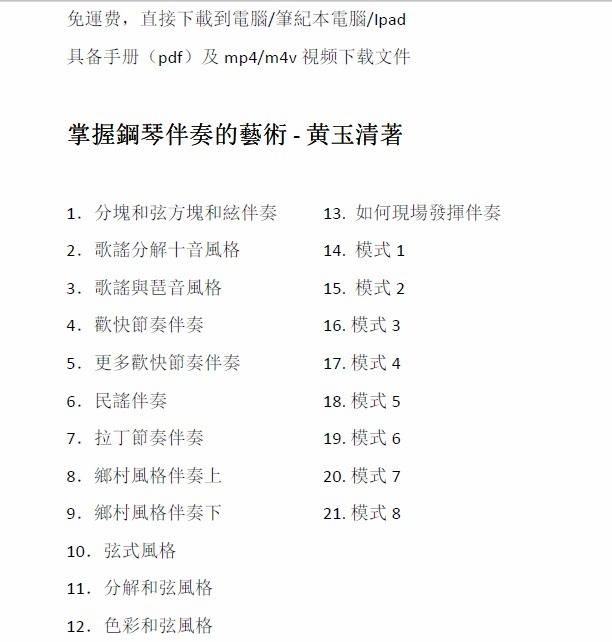 I have to say this is the most practical training course for accompaniment. Most techniques are ready to use. I always admire people who can accompany singers on site without any staff. Well, this is the key to it. 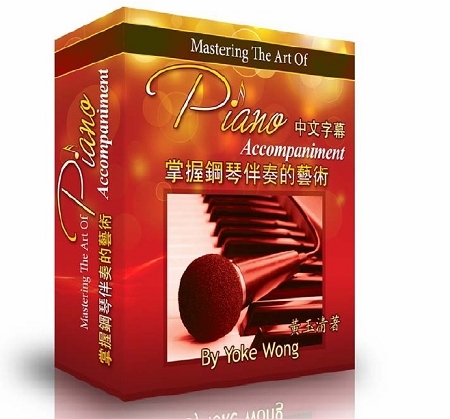 Yoke Wang is a very skillful piano player and has many experience. Most importantly, she is not a "strict" piano teacher who demands you to play this way to that way. She makes it enjoyable to play. There may be some guideline but not rules. It is "creating" music.